Blockchain technology was launched to address the disruptions in the banking industries in the year 2008. The idea was to introduce a digital monetary system where the onus of money supply will solely rely on a peer-to-peer electronic cash system. These innovative, cryptocurrencies and software platforms like Bitcoin and Ethereum are believed to be the best financial technology system till Hashgraph challenged Blockchain, claiming for the crown. Hashgraph was conceptualized by Swirlds co-founder Leemon Baird and is new consensus alternative to the Blockchain. They describe Hashgraph as “Blockchain on steroids”. It uses special features like gossip about gossip and virtual voting to achieve its fast, fair and secure transactions. 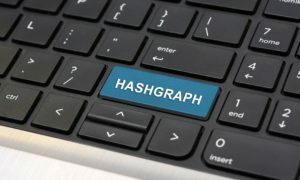 Hashgraph has a robust system with its consensus algorithm where every node can spread signed information called events on newly created and received transactions from randomly chosen neighbors. How is it different from Blockchain? Blockchain technology is an unbreakable digital ledger for financial transactions in an economy. Because it records each and every transaction, the information in a Blockchain is continuously updated, remains identical throughout, and not stored or controlled by any single entity, thus making it a robust technology with no single point of failure. On the other hand, Hashgraph has a superior data structure that claims to fill the gaps missed by Blockchain. Blockchain Bitcoin limits only seven transactions per second while through Hashgraph you have the bandwidth of 250000 transactions per second. 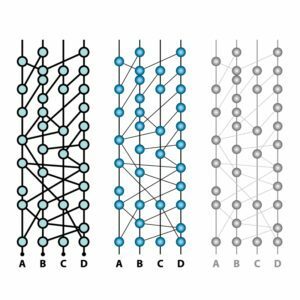 a. Blockchain’s consensus mechanism uses two types of Network – Public Networks and the Private Networks. While the Public Networks are expensive and have performance constraints, the private networks have relaxed security standards and face network potential targets for DDoS attacks. However, Swirld’s’ Hashgraph fixes this problem and requires neither the Public nor a Private network. Moreover, it delivers in low-cost and excellent performance with no single point of failure. b. In Blockchain an individual can choose the order of the transactions and can even stop a transaction from entering the system by changing the order of the future transactions. On the other, hand Hashgraph prevents an individual from affecting the consensus order of transactions and denies any type manipulation. 2. Virtual Voting- Through Virtual Voting, the nodes determine whether a transaction is valid or not. If the transaction has 2/3rd of the nodes witnessing for it, then it is considered to be valid. The Virtual Voting happened over a lot of rounds and based on how famous the witness is, and the vote counting is done and based on the results, the transaction is considered a pass or a fail. 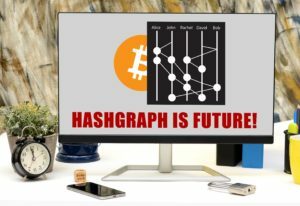 Is Hashgraph going to evade Blockchain? 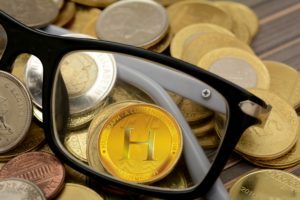 Bringing up the rear, it is too early to predict if Hashgraph will evade Blockchain. However, it cannot be denied that the technology behind Hashgraph is intriguing and has immense potential to make an impact. We can just wait and watch how the go-to-market version of Hashgraph technology make a difference in the world of technology.